How To Prepare For PMP® Project Management Certification Exam In 2019? Home » DevOps Resources » DevOps Certification: Is It Right Choice for Me? DevOps Certification: Is It Right Choice for Me? DevOps aims to inculcate organizational culture to rapidly produce and deliver software products and services. It is emerged as a response to the interdependence between Operations and Developers. Continuous Integration is an existing agile practice where the builds are integrated on continuous basis earliest possible rather than waiting to complete the iteration. 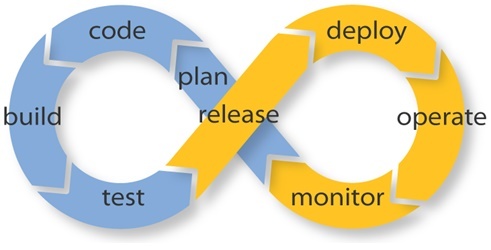 Continuous Delivery extends agile concepts beyond development. The aim is to get the new feature/change coded by developers to the production (operations) and thereby end users as soon as possible. Continuous Integration and Continuous Delivery get the code in the right state and in the right environment to enable these two processes. Continuous Testing and Continuous Monitoring are what will validate that you have built the right application, which functions and performs as designed. 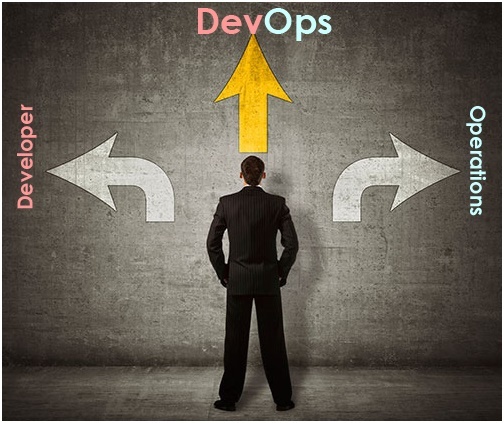 DevOps career has a lot of growth potential as more organisations of various sizes started adopting DevOps practices in enhancing their business agility. Increasingly, the developers, who won’t get into Operations / Administration / Monitoring and Admins / Operation professionals, who won’t develop becoming less valuable to the organisations. DevOps observed a tremendous increase in career opportunities. Many Organisations, tough they realize the potential of implementing DevOps concepts in their business growth and competitive advantage, they cite the availability of qualified DevOps professionals as the major limitation. 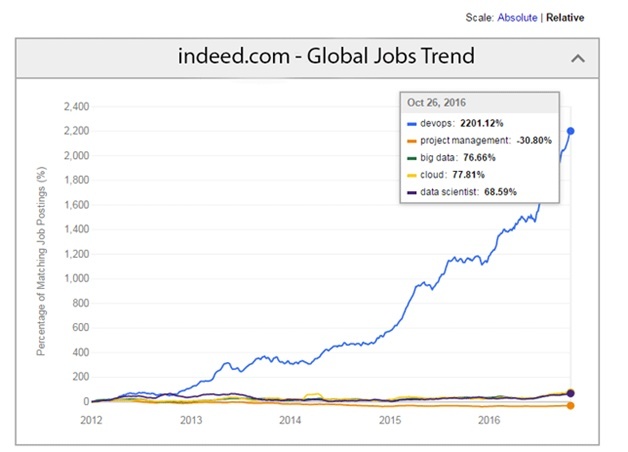 There are about 12,000 open opportunities for DevOps professionals as on today (ref: indeed.com). DevOps Certification: Is it for me? Whether you currently work in Operations or in Developments, you could pursue career in DevOps with relevant domain experience. DevOps is exciting as you job is to bridge the gap between Development and Operations through improving communication, collaboration and integration between them. In simple words, you need to find a good balance between developers and operations so that developers deliver and deploy the software on continual basis and operations manages to keep everything running smoothly. With the help of set of tools called “DevOps tool chain”, the systems are integrated and automated, to achieve this balance. SKILLOGIC™ is a highly regarded DevOps training institute providing DevOps training and Certification globally. SKILLOGIC™ is authorized under the license of DevOps Institute, global authority for DevOps Certification. Hi, Thanks for sharing the nice information. It’s very helpful to me. Wow. That is so elegant and logical and clearly explained. Keep it up! I follow up your blog for future post. What is the Cost of PMP Certification in India? PRINCE2 Vs PMP. Which is right choice for you? How Much Do PRINCE2 Certifications Cost In India? How PMP® Certification Can Enhance Your Career?